Turkish foreign minister Mevlut Cavusoglu continued in the belligerent vein adopted by his country in recent days against Israel. Speaking to state-broadcaster TRT Haber on Thursday, Cavusoglu said regarding Israeli anger at the humiliation of their ambassador, "Israel is playing cheap politics. They are trying to turn themselves into victims." "The time has come for the United Nations to pass a motion on the Gaza event. Israel must pay the price and an investigation of the massacre in Gaza should go to the International Criminal Court [ICC] in The Hague," the Turkish foreign minister said. 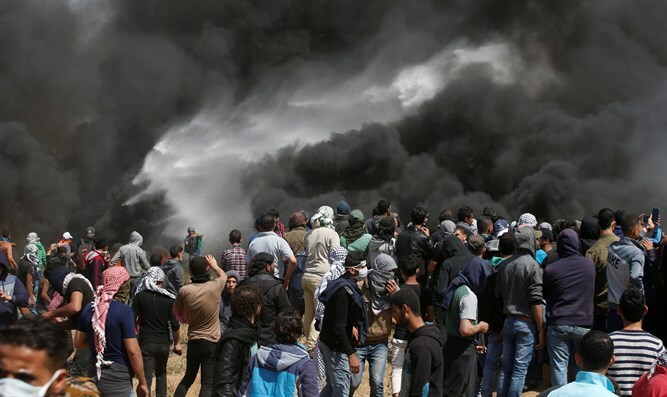 The Turkish minister also said that "there is a need for an independent commission to prepare a report on the situation in Gaza, and Israel will be held accountable before the world." Turkey has been carrying out an extensive diplomatic campaign in recent days in an attempt to increase condemnation of Israel from countries around the world over events in Gaza. Palestinian Authority leader Rami Hamdallah is also in Istanbul to help the Turks incite countries against Israel.